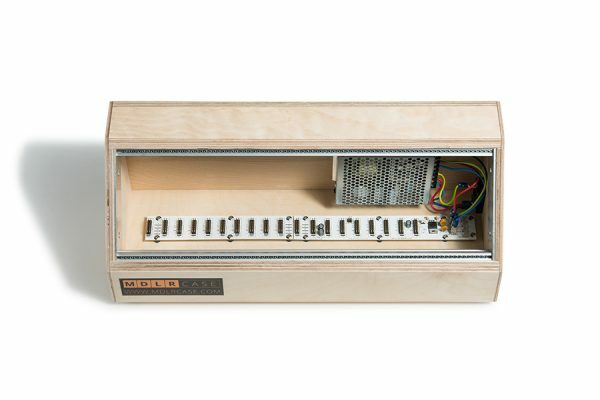 This professional handmade 3U Eurorack case for modular synthesizer is a perfect small starter case for those looking for a high-quality budget-friendly option to begin their exploration into Eurorack modular. 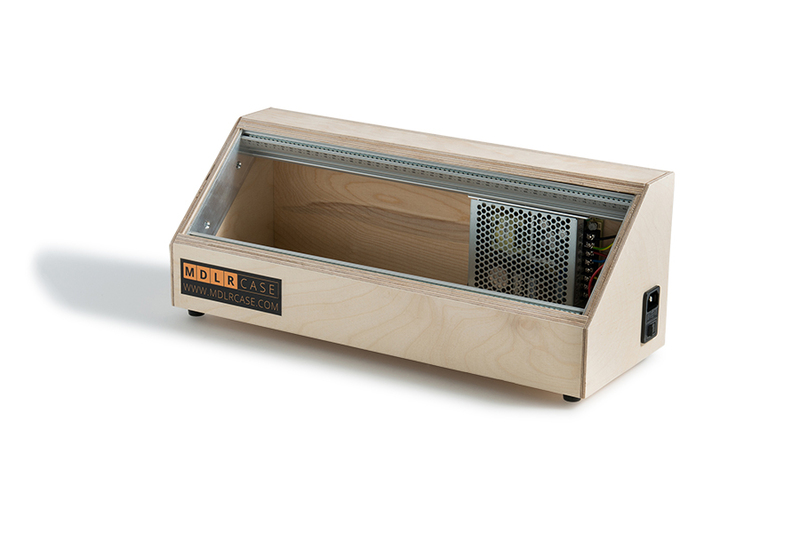 It’s also a great expansion case for modular synthesizer enthusiasts with growing systems. 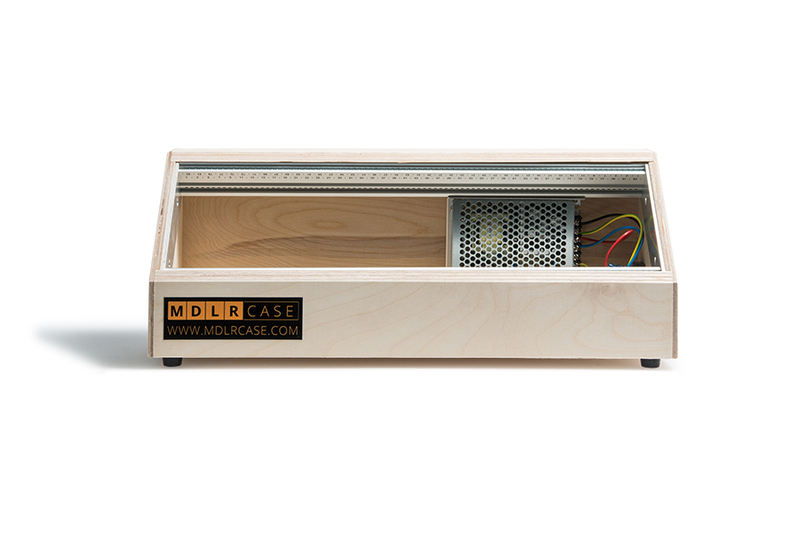 The case features an integrated power supply (your choice of Mean Well RT65B or Doepfer PSU-3) with a total of 20 power headers, and comes completely assembled, wired, tested and ready for you to load it up with your modules and play. 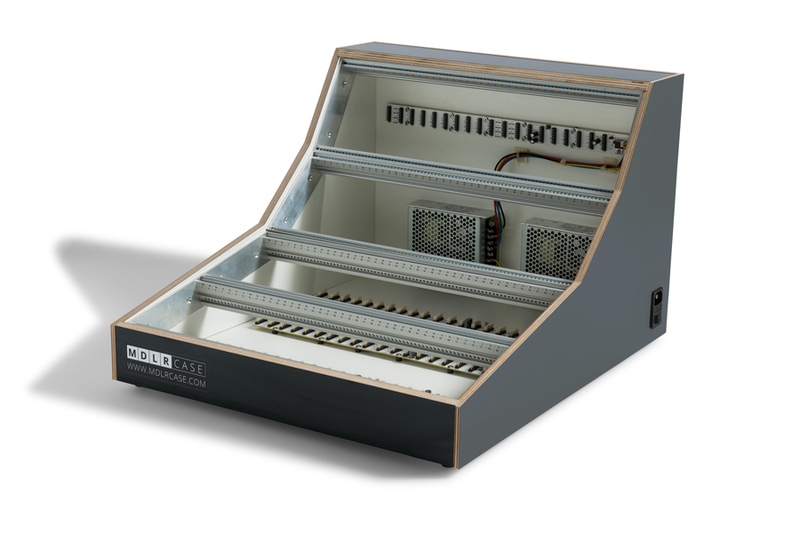 Closed case design with integrated short-circuit and overvoltage protection makes the Mean Well switching power supply a great choice. 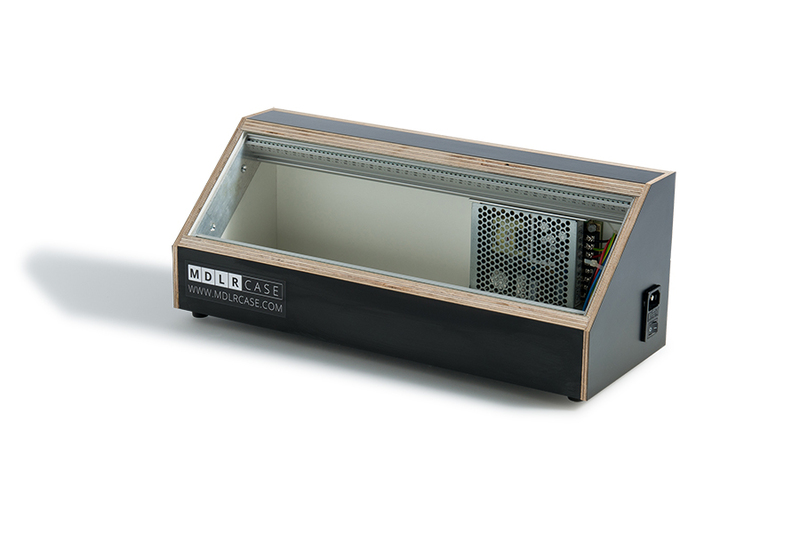 It is universal so it can accept a wide range of mains voltages, from 100V to 240V. 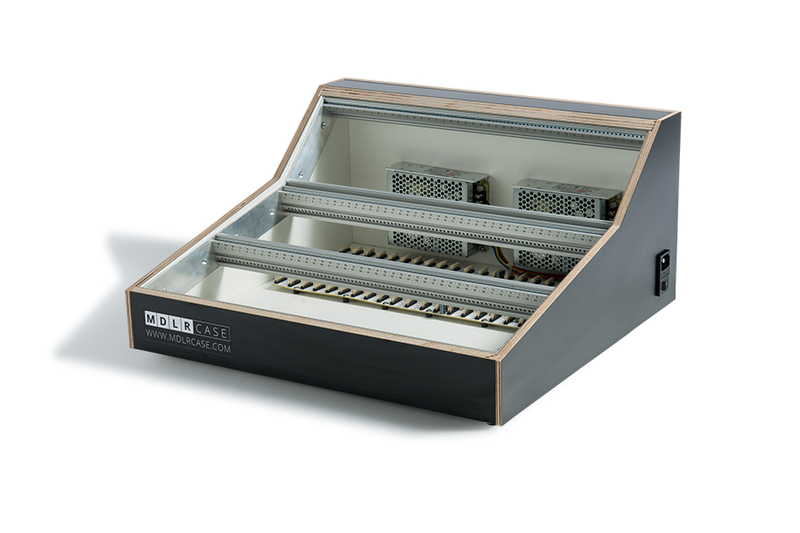 The PSU3 is a strong power supply for Eurorack modular systems allowing up to four busboards to be connected to a single unit. While the PSU-3 does not have the integrated short-circuit and overvoltage protection of the Mean Well, it does supply more amperage on the -12V rail. If you need more -12V than the Mean Well can provide, this supply is a great choice. 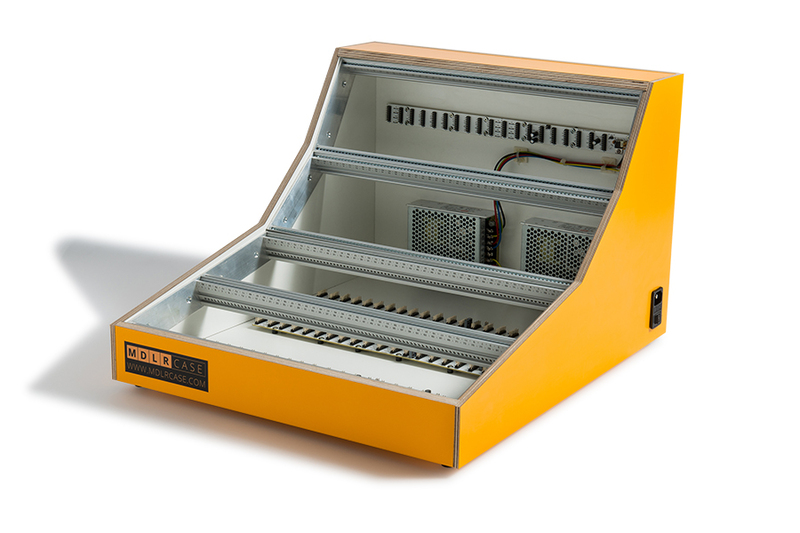 It is also universal so it can accept a wide range of mains voltages, from 100V to 240V. 20 standard Eurorack keyed headers. These power connectors feature safety notches to prevent the accidental reversed connection.